Let’s start from what “Dunkirk” is NOT. It ain’t an “epic war movie”. So forget the big action of “Pearl Harbor”, and the hyper realistic blood & gore of “Saving Private Ryan”. – stuffed with memorable quotes. The interactions are quite ordinary, but the situation is definitely extraordinary. And the way characters deal with it, is what makes them stand out. So what is this? It’s not a war movie, but it’s a movie about war. 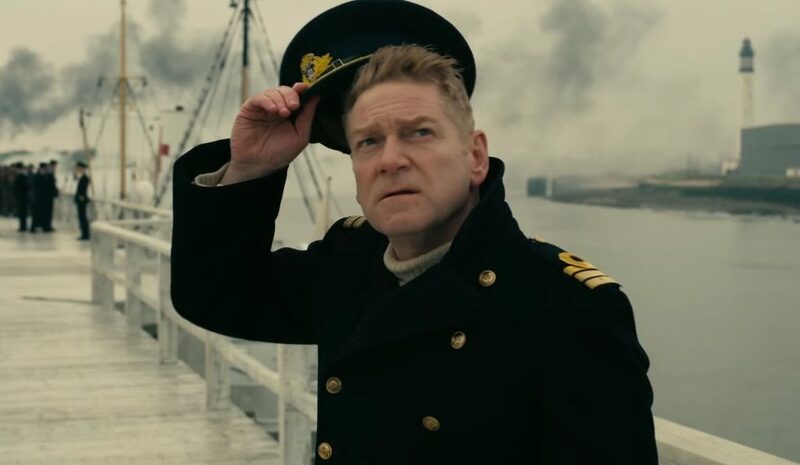 A few story lines intersect against the backdrop of the Dunkirk evacuation. Start of the brief history class. Skip if you don’t care. 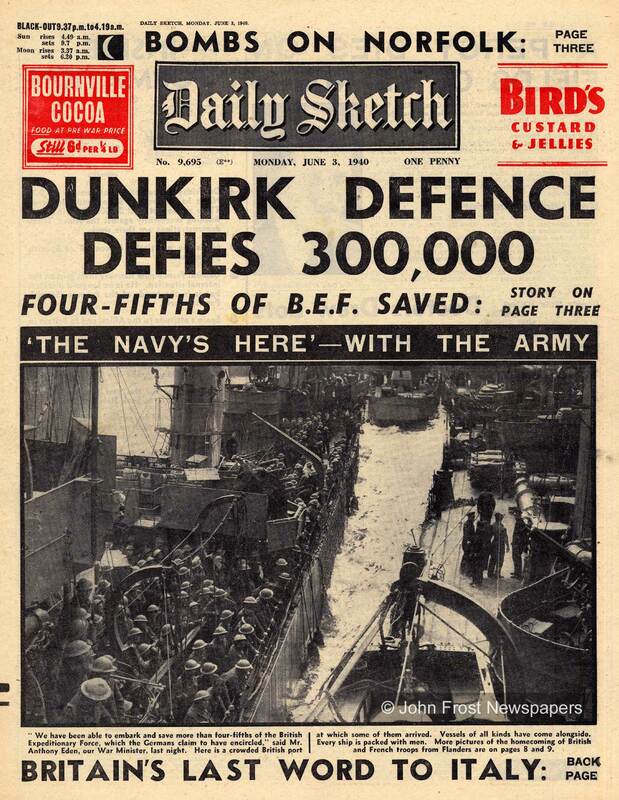 “Dunkirk Evacuation” or “Operation Dynamo” is a name of a massive military operation that took place in 1940. German panzers were advancing relentlessly through Netherlands and Belgium and were smashing French defense lines like they were made of paper. The British Expeditionary Force – the British and Allied troops that were fighting on mainland Europe – after suffering heavy losses found themselves completely surrounded by the enemy, their back squeezed against the sea on the beach of Dunkirk (Dunkerque if your first language is French). To get home safely, they badly needed a boat ride. Like, real badly. Problem was, there were a lot of problems. 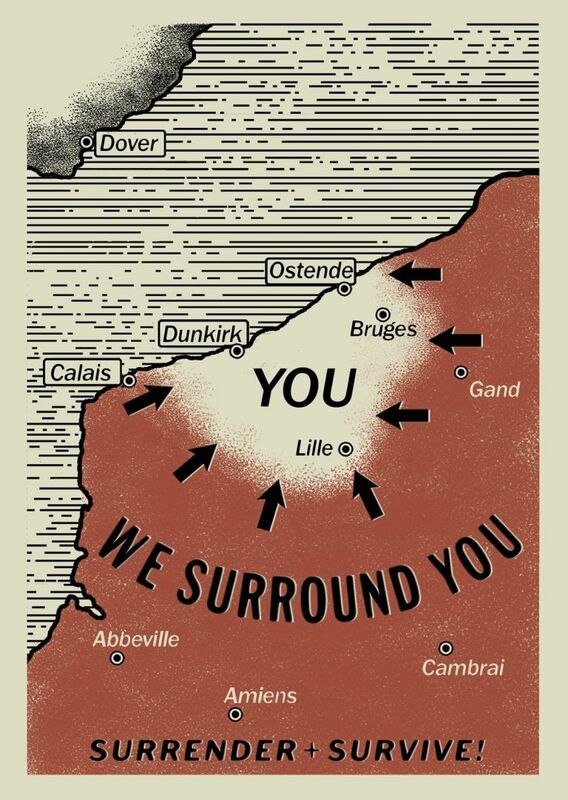 The shores at Dunkirk were shallow, and heavy ships couldn’t approach the beach. Plus, German fighters and bombers controlled the skies and their submarines were lethal underwater. The Royal Navy didn’t have so many ships to commit to such a risky operation. But to lose 400 thousands troops in one blow would mean there would be nobody left to defend Britain, in the likely event of a German amphibious attack! End of the history class, moving on. This flyer is recreated in the movie, in the style of the propaganda leaflets dropped by German planes onto the retreating British troops. Surrender + Survive! Such a great story, right? Perfect material for a war epic. And actually this is not the first time it is told in a movie. But this one is different. As you trot gleefully to the cinema to enjoy this FANTASTIC MASTERPIECE, you can forget as well sweeping epic story-lines, closed-doors strategic meetings that become gold meme material, maps with flags, trumpets and drums. Also, please, leave Stanley Kubrick and “Full Metal Jacket” alone. Because “Dunkirk” is something different. This is more like “The Thin Red Line” meets “The Old Man and the Sea”. It features a detached, hallucinated photography which manages to make everything serene and eerie at the same time; a serrated, asymmetric editing showing once more that Nolan is at his best when playing with the fabric of space-time, as in “Memento”, “Inception” and “Interstellar” (yes, that too, no need to get all triggered now); and a glorious but somehow discreet soundtrack by Hans Zimmer, this time always in total service of the story, that doesn’t steal the scene to stand out immediately as other film scores composed by the German musical genius (and former member of The Buggles: yes, that’s true, look it up). 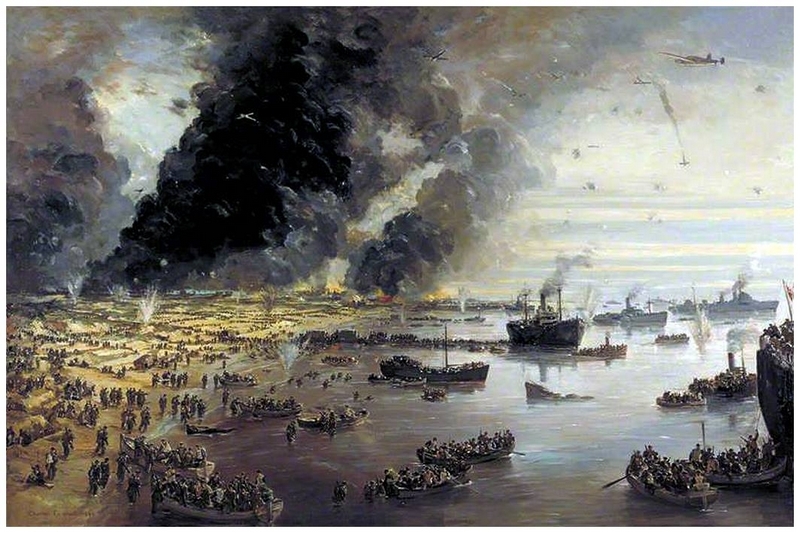 “The Withdrawal From Dunkirk, June 1940” by Charles Ernest Cundall. 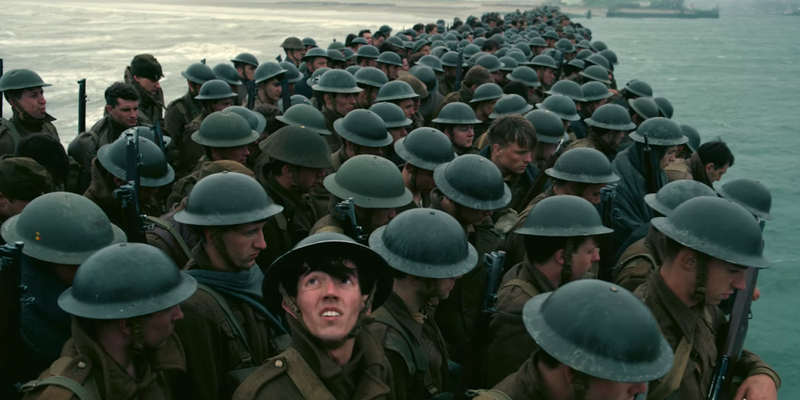 “Dunkirk” is personal and intimate. It’s not a classic war story, whatever that may be. Its arc is made by several individual stories that couldn’t be more diverse, and yet intertwine and meet to compose a single greater picture – in the background, one of the defining moments in the second world war in Europe. Where really this stops being “a movie” and becomes a very complex work of storytelling of universal value, is in the characters that give the story flesh and bones. We get to live the same – almost essential – plot through the point of view of several protagonists. And we are treated to some fantastic acting performances too. The casting includes some well established stars (many of them well acquainted with Nolan already), and new faces that will no doubt make their way to celebrity – just wait and see. Mark Rylance (fabulous in his mix of compassion and passion) and Tom Glynn-Carney are an ageing father and his younger son who fight their little private war because if they lose” there will be no home to go back to”, and will have to process their relationship, grief, guilt, and find a meaning for their life. On the other side of The Channel, two military officers will face impossible decisions. Kenneth Branagh, more Shakespearean than ever facing his dilemmas with a stormy sea on the background, and James D’Arcy who is absolutely touching in portraying his human sense of fragility, doubt and courage against terrible odds. Cillian Murphy is a shipwreck, the husk of a man completely broken by war. Terror-struck and driven by pure survival instinct, he just wants to run away from it all, no matter at what cost. Tom Hardy plays a brave pilot who decides to risk everything to save what apparently seems so little. He is, in fact, the only “heroic” character by the generally accepted meaning of the term (he gets to shoot at enemies, at least, and sometimes he hits them). The aerial battles are some of the most exciting sequences of the film, but don’t expect “Transformers” style stuff here. These are beautiful because they are distant and realistic (dogfight was a hit and miss affair, much more miss than hit), with pioneeristic camera shots from the side of the planes – some tricks already seen in “Interstellar”. And Fionn Whitehead (born 1997) is the one who lives to tell the story. We follow him and his supernatural survival instinct from the beginning of the movie, to the end. And yet, somehow, it’s hard to develop an emotional attachment. This land is ravaged by a war that strips people of their humanity. Once more, this is no “Saving Private Ryan” material. There is space for many more characters, maybe “minor” ones, but so many of them manage to really shine at least for a moment and earn special recognition – contributing to create something that is choral, pulsating and beautiful, because it looks alive. Soldiers amassed on the pontoon, under enemy strafing fire. The attack sequences reminded me of “Enemy at the Gates“, great 2001 film on the siege of Stalingrad – with Jude Law, Joseph Fiennes and Ed Harris. And now, the final part. what did this leave me with? 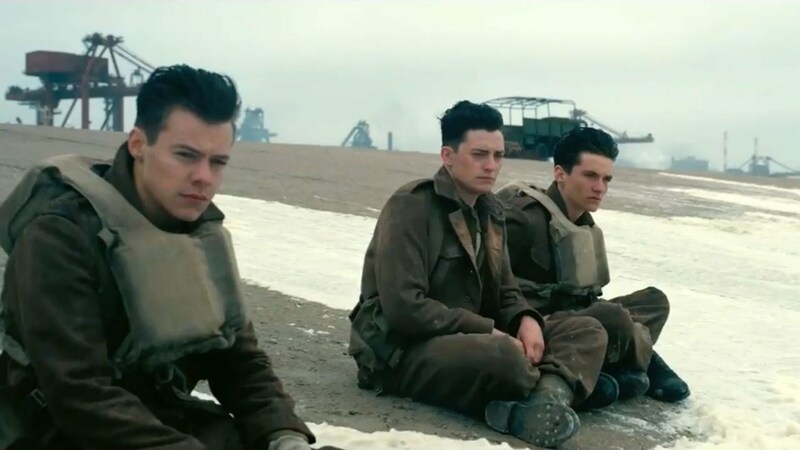 Above all, “Dunkirk” is a film about how divisions and tribalism lead to brute violence, death and destruction. In the movie, war has no face. It comes in the form of dreadful war machines, bombs and distant gunfire. You hear speaking English, French, Dutch, but never a word of German. There is nothing human in us when we become The Enemy. On the other hand, death and suffering have many faces. One that struck me particularly is how terrible it must be, to die at sea. In times when so many attempt to flee some shores looking for safety, or maybe a “home”, I found this reflection very relevant. Humanity should always prevail – lest we become something less than human. (but then I also thought of an alternative way to read the story: a few hundred thousand Brits couldn’t wait to leave Europe and go back to their beloved English countryside. A rather accurate description of the Brexit referendum). 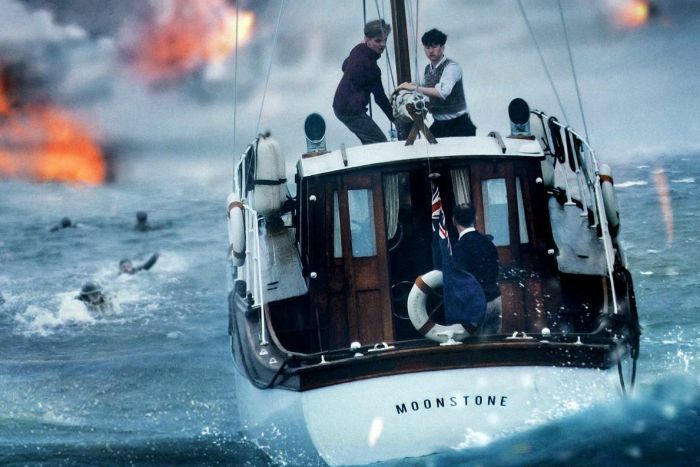 Ultimately, “Dunkirk” is a story of how, by joining together and putting aside personal interests and calculations, humans can achieve – have always achieved – greatness. Go watch it, in the biggest screen you manage to find. In IMAX 70mm it was a thing of stark beauty. Just noticed this now as I was given a link for the enjoyable Czech stereotypes article. Yeah I enjoyed this film as well but a lot of people panned it, I think they expected a Private Ryan or Platoon style action and gorefest and just didnt “get” the film. I was in the Iraq war in 2003 and this seemed a lot more realistic to me, the long lulls between the action and the individual anonymous stories, it was a smart bit of film. Talking about desert wars another favourite film of mine was La Linea del Fuoco. Again not a great deal of action, but the camaraderie of soldiers, the unseen nature of the British enemy when they came across the massacred Bersaglieri with the black feathers fluttering in the wind, the headlit tanks and soldiers at the engine capturing the guys and the friction between Germans and Italians despite being allies, great stand out moments. Thank you for the tip. I will make sure I watch it. Yes, I think “Dunkirk” was a bit misunderstood – or maybe over interpreted. As a piece of cinematography, I think it’s simply impressive but one has to approach as free as possible from preconceptions.